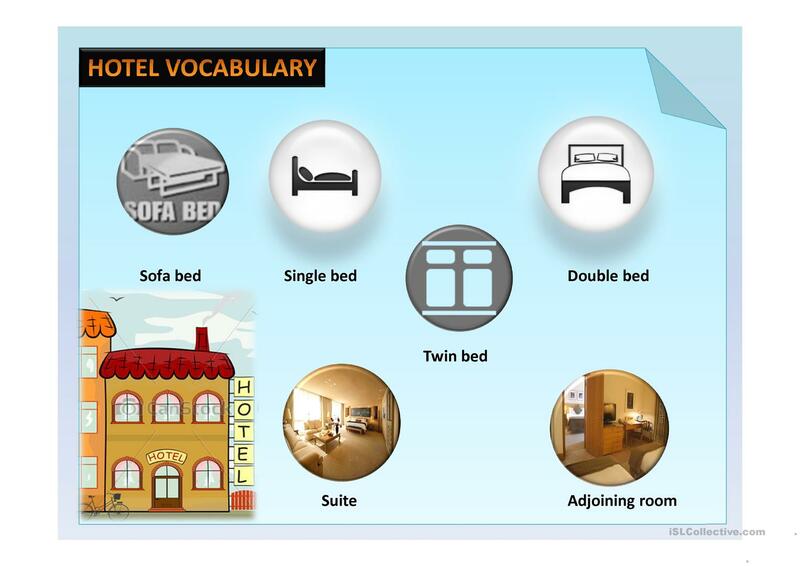 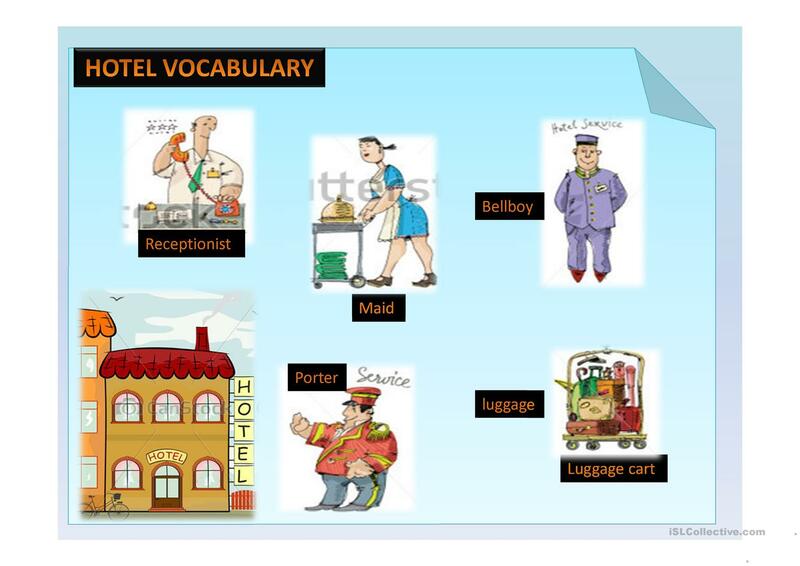 Hotel vocabulary helps students to have a little idea of the most common words used in english, it can be used for spelling words, write dialogues among others. 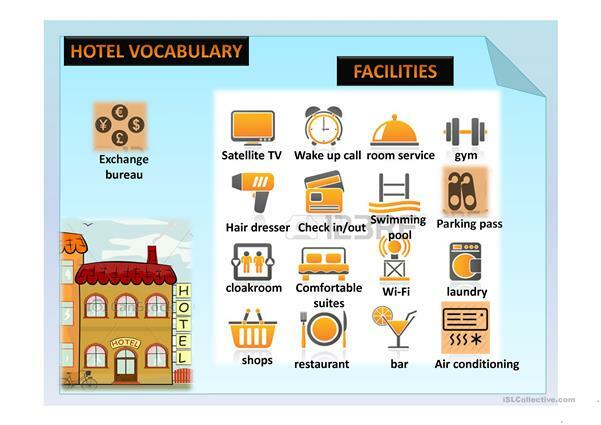 This downloadable handout was created for high school students at Beginner (pre-A1) and Elementary (A1) level. 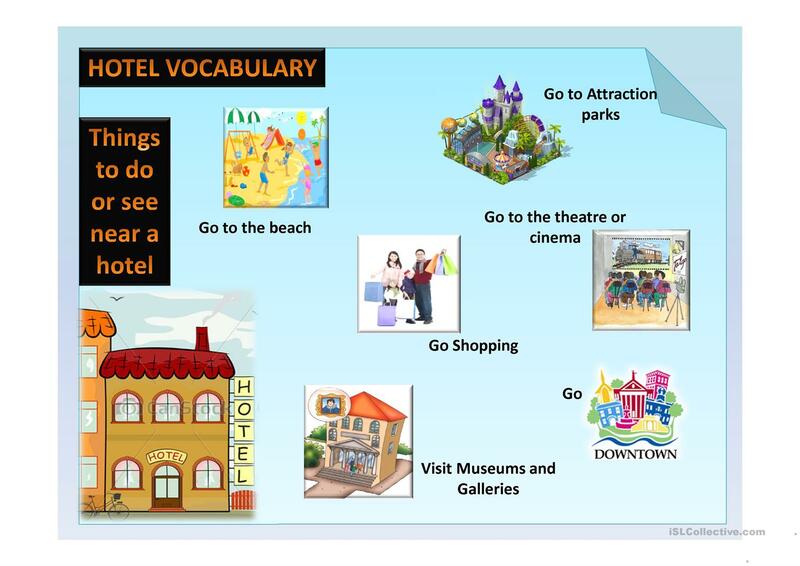 It is about the theme of Places. mola73 is from/lives in Venezuela and has been a member of iSLCollective since 2013-02-07 12:18:22. mola73 last logged in on 2015-02-12 15:16:54, and has shared 3 resources on iSLCollective so far.